All right, I've been hinting at some "big news." So. Ready? Here goes. BAM: My husband-to-be has accepted a new job. In Chicago. And he leaves in a week. This all happened within the past few weeks - the interview, the offer, the decision, the informing of employers, family, and friends before any online reveal - all so fast. He starts the new job in a little over a week, and leaves in exactly a week, and then I won't see him for weeks and weeks and weeks. See, I won't be moving until after the wedding. I'll be staying here in Mississippi, working, packing up the townhouse, taking care of the pets, wedding-planning, trying to figure out what my plan in the big city will be, and HOLY CRAP missing him. I'm already anticipating the HOLY CRAP missing him. We went grocery shopping today and I was pointing out that he'll be out of the house before the milk expires, this is the last spinach we'll buy before he moves, that sort of thing. "You can't get sentimental over everything about this," he said, eyeing the spinach. "You'd be surprised," I replied, looking mournfully at the last spinach we'll ever buy together here. It'd be tempting to romanticize a two month separation leading up to the wedding... except at this point in my life, I find nothing romantic about long distance. I know we can get through it, I'm not worried. I'm just spoiled. I like having him around. Truthfully, though, there's so much more to be grateful for than stressed out about, so let's accentuate the crazy amounts of positive. Timing be damned, this opportunity is fabulous. There is so much excitement ahead it almost seems unfair. Also, though the separation from D won't be fun, I'm VERY grateful for the extra time I'll get with my friends-so-close-they're-family down here. I know it would be close to impossible for both of us plus the pets to drop everything and move our whole lives at once. Especially with a wedding on the horizon, taking place here. Staying here makes sense. So, in summary: DOUBLE BAM. 2013 can now officially be summarized as THE YEAR OF MAKING DECISIONS (let's get married! 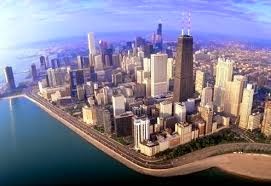 we'll move to Chicago!) and 2014 will indeed be THE YEAR OF TAKING ACTION (taking vows! moving boxes!). I think the President recently said something similar. Sorry to steal your thunder, Obama. Here's to health, sanity, and joy as we swiftly move from talking the talk to walking the walk, down the aisle, then driving up I-55, and moving ever more rapidly into the future. PS There are a lot of little logistics sneaking up quickly, too, in light of all this... for example, we had to go ahead and get our marriage license. That's right, we're licensed to wed, and it was a bizarre experience just getting through that bit. I'll tell that story soon. SO THRILLED that you will be so much closer to MOB and FOB! 1. Google Hangout. Skype. Anything that lets you see that person's face. 2. Talking on the phone an unreasonable amount. 3. Doing all the things you'd never do if someone were around to observe you. And early welcome to the city! 2. FOR REAL. Given the fact that I am a TERRIBLE AWFUL NO GOOD VERY BAD PHONE PERSON, the fact that we have spoken by phone six times in the past three days, for a total of a couple of hours, is crazy.